You must change your password as soon as you log in. 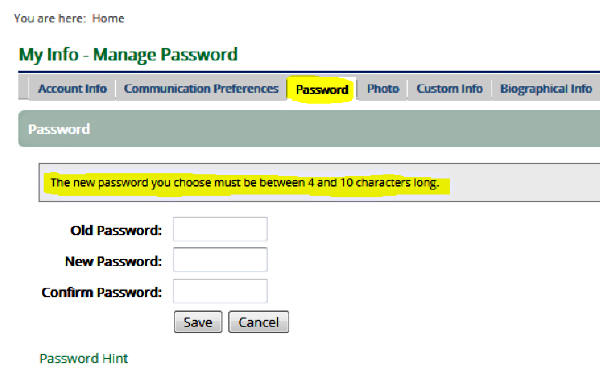 Select the Password tab and follow the instructions. Be sure to click Save when finished. You can also update your mailing address, email address, and telephone number under the Biographical Info tab. The changes you make may not show up immediately; it takes a little while for everything to process. You are ready to go! Log in here.